Matthew is a native of The Glass City, Toledo, Ohio. 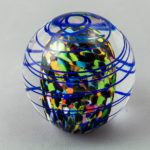 He began his study of glassblowing at The Toledo Museum of Art in 1993. After his studies at the museum of art he was accepted to one of the most famous glass schools in the world. 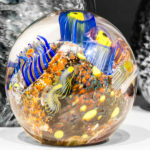 Pilchuck Glass School was founded in 1971 by glass artist Dale Chihuly. 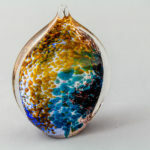 Dale may be the most well-known of all the glass artists in the United States. Matt also refined his skills by assisting Chihuly’s Boathouse Studio team in a major installation. 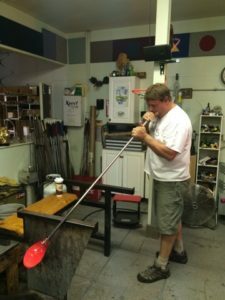 Matt has taken his training with some of the very finest purveyors of the art of glass blowing. He has taken that influence and created this stunning work you see on these shelves. I see the artist as creator. We take raw material and transform it into objects that hold aesthetic significance, creating beauty from virtually nothing. Despite my critical eye, a sense of wonder emerges every time I cast my first gaze upon a finished piece. The object I hold in my hand today was nothing more than an idea and a pool of molten liquid yesterday.